Home > Local Highlight > Let’s call a statue, a statue ! Let’s call a statue, a statue ! A nation that has invested so much into Heritage and Reconciliation day and developed numerous campaigns and projects in helping the country forget the past and move into a brighter future would have in the past few weeks reassessed the impact of these investments. It all started when Chumani Maxwele threw sewage over the statue of Cecil John Rhodes at Rhodes University on the 9th of March. In previous weeks, this issue has escalated into a #RhodesMustFall campaign on social media, with thousands of students and the general public debating the issue. The University of Capetown Council today had to set up a meeting in order to decide the fate of the historic statue, at the University. President Robert Mugabe also had a say in the issue “We in Zimbabwe had forgotten about Cecil Rhodes until South Africa said it has his statue in Cape Town, where he was the minister of the Cape and mischievously wanted to also take control of Zimbabwe,” said Mugabe. “We have his corpse, you can keep his statue,”. This was at an address he gave at the Union Building on Wednesday the 8th, April 2015, at an Official visit in Pretoria, South Africa. The presence of the colonial-era statue has since spread a nationwide debate, causing an even wider spread on talks about transformation and how much South Africans have reconciled Since the end of apartheid. Let’s call it history, In view of this issue, it is right to know who the statue represents, Who is Rhodes? 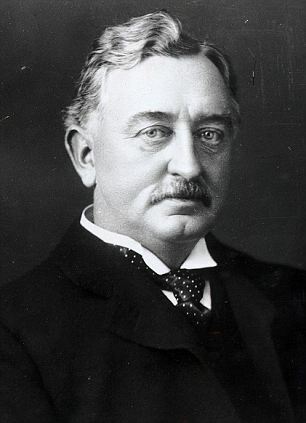 Cecil John Rhodes was born on July 5, 1853, in England. During the mid-1870s, Rhodes developed his philosophies on British Imperialism, where the British Empire rules over its foreign colonies. These philosophies consisted of a “dream” where a brotherhood of elite Anglo-Saxons (whites) would occupy all of Africa, the Holy Land in the Middle East, and other parts of the world. After a serious heart attack in 1877, Rhodes revealed his ideas of British Imperialism when he made his first will. In it, Rhodes called for the settlement of his as-yet unearned fortune to found a secret society that would extend British rule throughout the world and colonize most parts of it with British settlers, leading to the “ultimate recovery of the United States of America” by the British Empire. During this same time Rhodes built a career in politics. He was elected to the Cape Parliament in 1880, the governing body of South Africa. In Parliament, Rhodes succeeded in focusing attention on the Transvaal and German expansion so as to secure British control of Bechuanaland by 1885. In 1888 Rhodes secured mining grants from Lobengula, King of the Ndebele, which by highly stretched interpretations gave Rhodes a claim to what became Rhodesia. In 1889 Rhodes persuaded the British government to grant a charter (authority from the British throne) to form the British South Africa Company, which in 1890 put white settlers into Lobengula’s territories and founded Salisbury and other towns. This sparked conflict with the Ndebele, but they were crushed by British forces in the war of 1893. At the end of 1895 Rhodes’s fortunes took a disastrous turn. In poor health and anxious to hurry his dream of a South African federation, he organized a plot against the Boer government of the Transvaal, which was run by the Dutch settlers. The Rhodes statue issue has now become a nationwide campaign by many, causing vandalism on prominent historical statues in the country. Over the Easter weekend, the statue of Paul Kruger was also spilled with green paint at the church square in Pretoria and soon after, the EFF claimed responsibility for vandalizing the statue. In response to this action, members of the Front Nasionaal (Front National) stood with placards with Afrikaans singer Sunette Bridges and Steve Hofmeyer at Church Square where the statues of Paul Kruger and his burghers were defaced. During the protest, Hofmeyer demand that statues representing the apartheid era be left alone. Sunette Bridges addressed the crowd, saying the removal of the statues was purely racist and that all statues of the English and Afrikaners must remain where they are. This is after the Economic Freedom Fighters (EFF) have been encouraging all South Africans to physically destroy colonial statues, including that of Paul Kruger. The African National Congress, have made efforts to repair the vandalized statue and ensure order during the protest earlier today at the Church Square. The Democratic Alliance has also made a public statement condemning the actions of the protesters at the Church Square, ” Similarly, the alleged violent confrontation between members of both the FF+ and EFF at Church Square sets a very bad precedent for future engagements on sensitive national issues like this”. Considering how long these statues have been around, and how it all forms part of the history of South Africa. We then ask the question, what changed and what does the removal and replacement of these statues effect. Many say racism, a lot want it removed to promote black consciousness, and the debate continues on how the removal of these monuments and historical statues affect anything. We then consider the effect that the first steps that was implemented by the government to re-model the future had on many businesses and institutions when road names were changed. Is it enough for a statue to cause so much chaos, or is the statue just a cover for the real issues we all would like to discuss but just need a medium to view our opinions. It would be right to consider what would happen next after all the statues are displaced. A statue would always be one and nothing more than that, and that is what we are left with, to answer the questions and face the facts, that the country that has tried to leave the harsh facts of racism and hatred behind, still has quite a lot to tackle on the issues of reconciliation. Chris Brown SA 'X Tour' ended with a Wiz.